Owen provided mechanical, electrical, and plumbing engineering design for the new cooling tower at the City of Rancho Cucamonga’s City Hall. The MEP scope involved project management, development of plan check and final construction documents, commissioning of the cooling tower, and assistance during construction. Owen also provided structural engineering services for the cooling tower replacement. 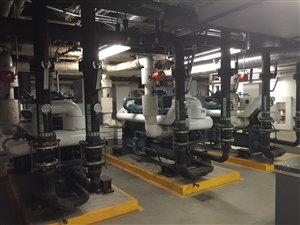 Structural engineering services include anchorage and structural calculations to the City Hall cooling tower replacement including a new cooling tower filter.